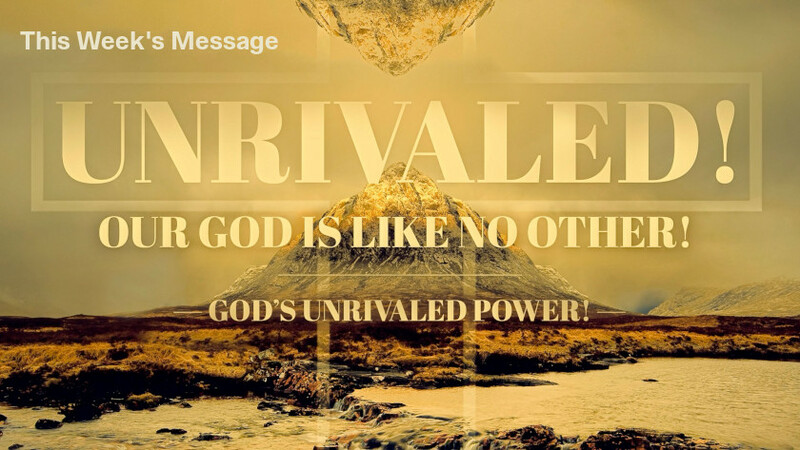 April 21st, 2019 - "Unrivaled - Our God Is Like No Other: God's Unrivaled Power!" If your life has gotten into a rut and feels hum-drum, let this week’s glimpse of our Unrivaled God refresh your soul and add spring to your step! Join us as we celebrate Resurrection Sunday and Christ's victory over death!